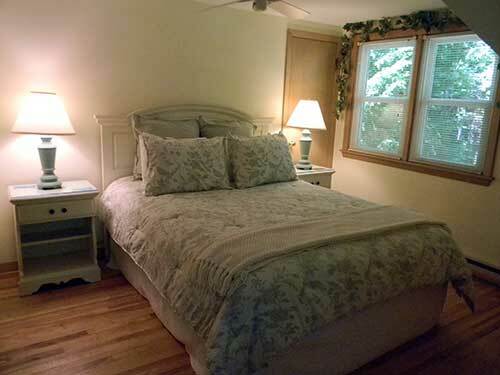 See the Park Place Cottages Frequently Asked Questions Page for more information. The Carriage House is a second floor penthouse apartment overlooking the tree tops located at the south end of Ephraim in the heart of Door County, Wisconsin. The cottage is a "little home" that features excellent craftsmanship, in a beautiful setting, just footsteps from Peninsula State Park. All of the units are newly refurbished and decorated. 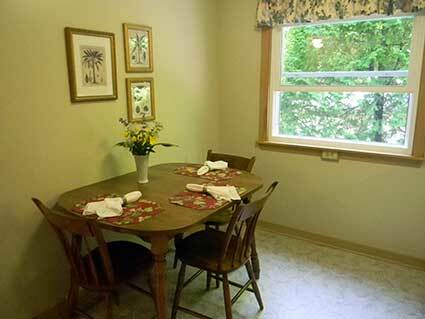 The cottages have Cable TV with DVD players and wireless Internet. There are ceiling fans and a window air conditioner. All linens are provided with the exception of beach towels. Gas grills, picnic tables and lawn furniture are provided. 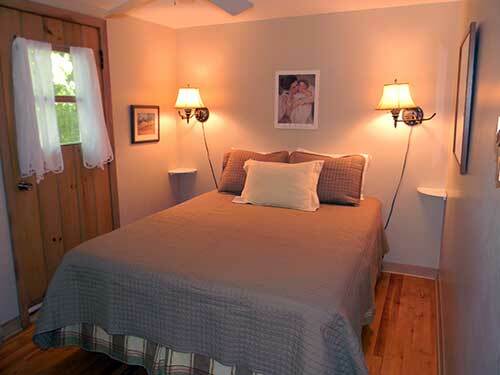 All of the cottages have been recently refurbished and decorated. 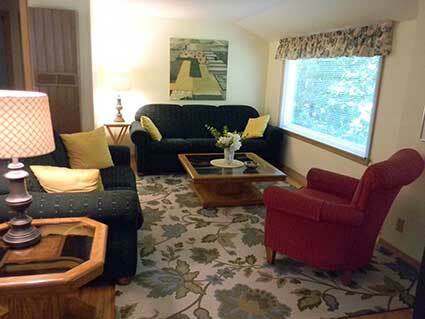 Park Place Cottages are available May 1st through October 31. 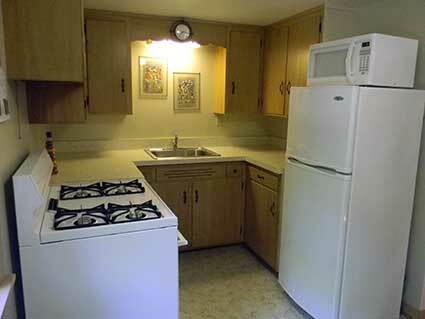 From mid June through Labor Day units are available on a weekly basis. Other times availabilty is offered for shorter stays with a three night minimum. For all holidays and festival weekends a three night minimum is required. Please see our Rates Page for rental rates. 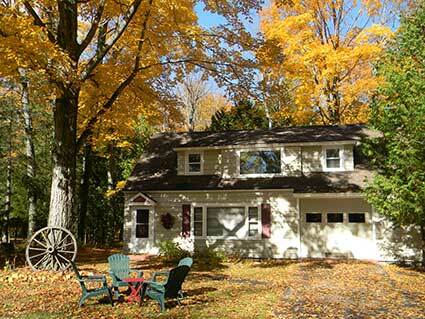 "We enjoyed a clean, comfortable stay at Debbie's cottage the Carriage House. The fresh flowers and a note from Deb were a welcome surprise. It all worked well for us. We will stay there again."